Originally from southeastern Indiana, Joshua White received his BFA in Photography from Northern Kentucky University, and his MFA in Photography from Arizona State University. 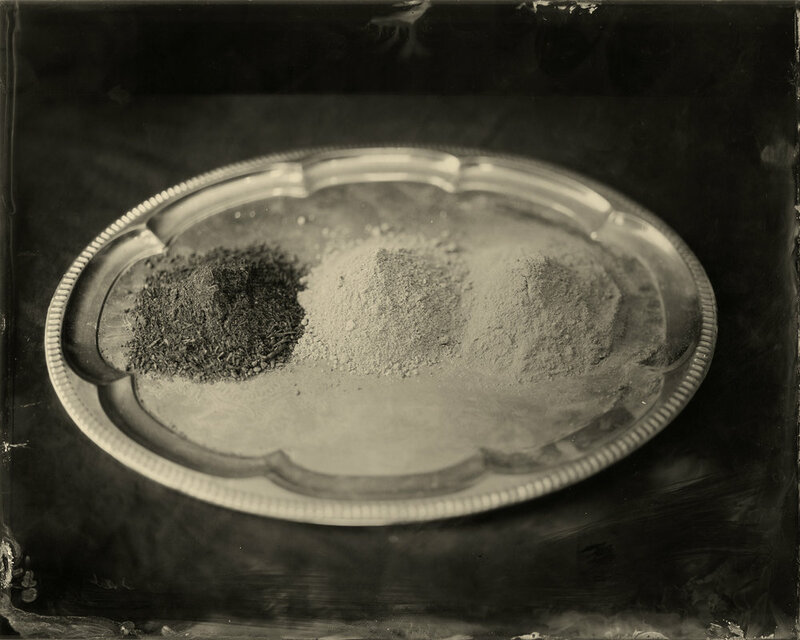 From cell phone photography and alternative processes, including wet plate collodion and lumen printing, to woodworking and mixed media, White employs numerous techniques to investigate memory, mortality, and ecology. His work has been published by National Geographic, and featured by Wired, Mother Nature Network, Scientific American, Don’t Take Pictures, The Hand, and Gizmodo. His exhibition record includes numerous solo exhibitions across the US, as well as many national and international juried exhibitions. White is an Assistant Professor of Studio Art and the Studio Art Photography Area Coordinator at Appalachian State University where he has been for the past 6 years. I work in many different ways, and often on multiple projects simultaneously. The three bodies of work submitted all come from the same well spring, but they, and other bodies I am currently working on, can seem very different at times. I can only say that I know no other way to work. Studying photography is about more than understanding how the camera works, it is about understanding the language of photography and how to make meaning with images. The Studio Art Program at Appalachian State University affords students a great deal of freedom as they navigate our curriculum, and many of our students have more than one area of emphasis, combining fibers, metals, painting, printmaking, ceramics, photography, and sculpture in new and exciting ways. I push students to try to understand what they want to say with photography, and provide as many varied opportunities as possible to let them see the wide range of artistic practices they can pursue. We have excellent facilities, with two wet darkrooms, as well as alternative process space, and a computer lab with 17", 24", and 44" wide printers. But more than any of that, we are a dedicated group of educators and students passionately engaged in the photographic medium. Appalachian State offers undergraduate courses only in Studio Art, and I teach all levels of photography. Those courses include Photographic Design I, Photographic Design II, Digital Photographic Design, Alternative Photographic Processes, and Advanced Photographic Design. I also teach History of Photography from time to time, and offer photography classes as part of a study abroad trip to Scotland every other year. We embrace the entire spectrum of the photographic medium, from historic photo processes to cell phone photography. Photo I students experience everything from pinhole cameras to the latest digital tools, and we focus the conversation on content, utilizing whatever tool is necessary to communicate their ideas. In intermediate and advanced classes students are invited to choose digital or analog process for their work, or to combine methods and create to create the work they envision. Students are required to make prints for many of their assignments. In beginning classes, many of the first critiques are digital. As we progress, prints become more a part of the conversation, and the final Photo I critique is conducted with physical prints. All critiques in Photo II and Alt Processes are conducted with prints, and many during the Advanced and Digital Photographic Design courses are as well. We have a computer lab dedicated to Photography and Printmaking, and students are able to edit images any time classes are not in session (and often even then, depending on space). Beginning and intermediate students are present while prints are made, and are increasingly given agency to print with supervision. Advanced students are allowed to print unsupervised, and encouraged to experiment with various papers and printing controls. Students also have access to the darkroom any time the building is open, and are able to print 24/7 if they are enrolled in a course. Our critique system is fairly traditional. Critique occur in class, and are often group format. I also conduct individual critiques outside of class time and during work days. For the most part the critiques are attended by the students in a given class, though we have had other professors join critiques on occasion. When possible, we invite visiting artists into the classroom to join in the critiques or offer portfolio reviews. We have also begun piloting an advanced class that combines photography, printmaking, sculpture, fibers, and metalsmithing in one large group, providing a space for cross-disciplinary conversation. Students are expected to provide honest, respectful feedback, and hone not only their skills of perception and community, but also their ability to discuss artwork in an intelligent, open way.